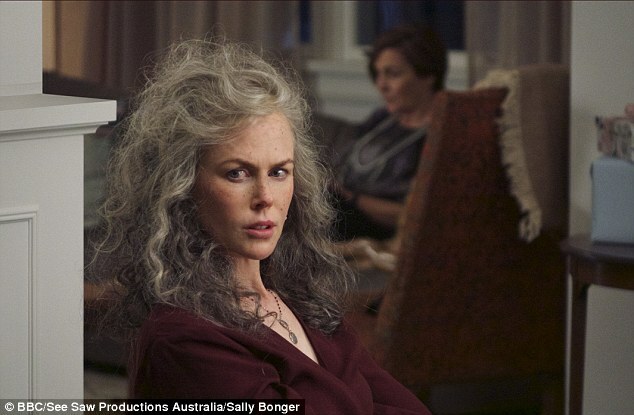 With her unruly grey wig and slightly haggard appearance, Nicole Kidman looks a far cry from her usual glamorous self in the second series of BBC drama Top Of The Lake. The actress's appearance was revealed for the first time in the shot which shows her in the Jane Campion-directed drama. The 49-year-old actress plays Julia, an Australian mother whose story intertwines with Elisabeth Moss's Detective Robin Griffin, who reprises her role. The original Top Of The Lake followed Robin investigating the disappearance of 12-year-old Tui Mitchell. 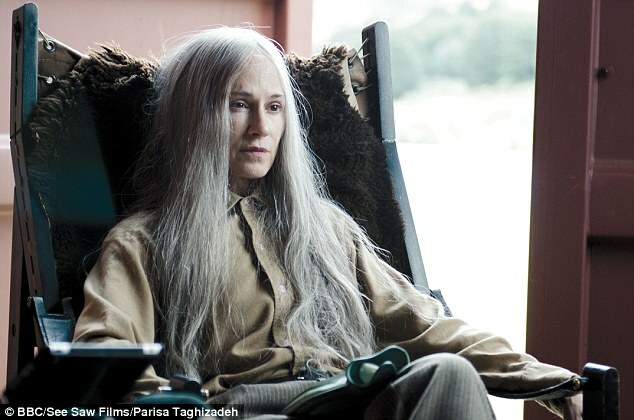 It starred Holly Hunter as androgynous spiritual leader GJ who also sported a rather dowdy appearance in the drama. The new series, entitled Top of the Lake: China Girl, continues five years on from the ending of the first season which was set in New Zealand. This time round, Robin is trying to rebuild her life in Sydney. But when the body of an Asian girl washes up on Bondi Beach, Robin has little to go on until she realises 'China Girl' didn't die alone. Her search to discover the girl's identity then takes her into the city's criminal underbelly. Nicole's role sees her re-team with Campion with whom she collaborated on 1996 movie The Portrait Of A Lady. 'I am very excited to be coming home to work with darling friend Jane Campion, whose work I ­respect and admire,' Nicole told Sydney's Daily Telegraph earlier this year. Elisabeth's acclaimed turn as Robin won her the Golden Globe for Best Actress in a Miniseries or Television Film and an Emmy nomination. Also joining the Top Of The Lake cast is Game Of Thrones star Gwendoline Christie who is thought to appear in one episode of the new series.